Great Britain head coach Pete Russell has made additions to his squad ahead of the pre-World Championship training camp that gets under way this week. With a few injuries in the camp, Sam Duggan and Paul Swindlehurst have been added to the squad while there are first GB call-ups for Joey Lewis and Josh Tetlow. Russell said: “We have a few injury niggles in the group so we have covered all bases and added to the squad. “In adding the four guys to our group at this stage it gives us a chance – and the players a chance – to be all on the same page from day one. 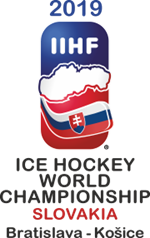 GB have four warm-up games ahead of the World Championship next mont in Kosice, Slovakia. 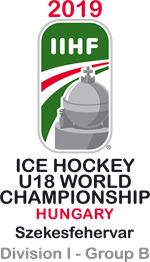 Russell’s side face Italy on Friday 19th April at the Skydome in Coventry (7:30pm) and Hungary at Planet Ice Milton Keynes on Sunday 21st Hungary (2pm). They then play back-to-back games with KHL side Torpedo Nizhny Novgorod at the Motorpoint Arena Nottingham on Saturday 27th April (7pm) and at Fly DSA Arena Sheffield on Sunday 28th April (4pm).